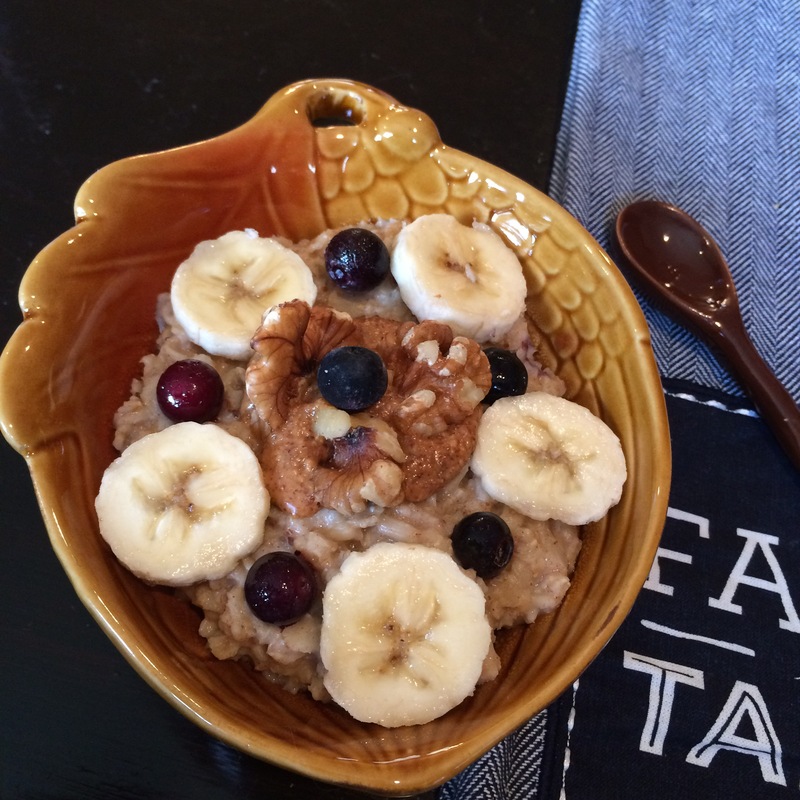 Mix oatmeal with 1 scoop of Vega vanilla protein powder. 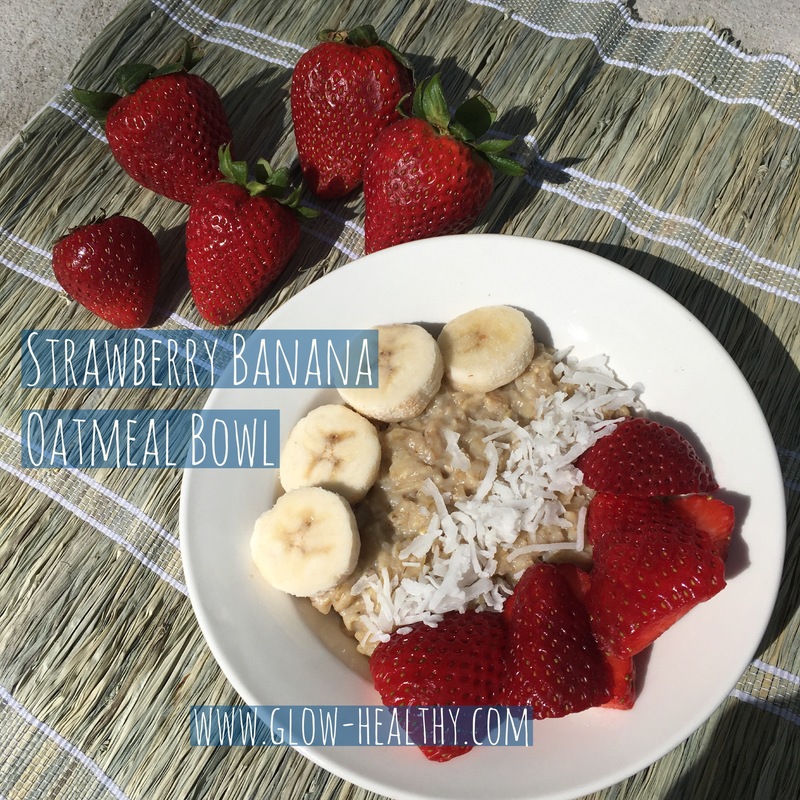 Top with slices of strawberries, bananas and unsweetened coconut flakes. Easy, filling and delicious!